Disaster Hygiene in Your B.O.B. I have one question about your bug out bag. Will it keep you clean? It may be packed with the latest tactical gear, plenty of ammo, ultralight tents, Datrax bars and everything else they sell on the right column of websites. How do you plan on staying clean? Don’t waste your precious water. 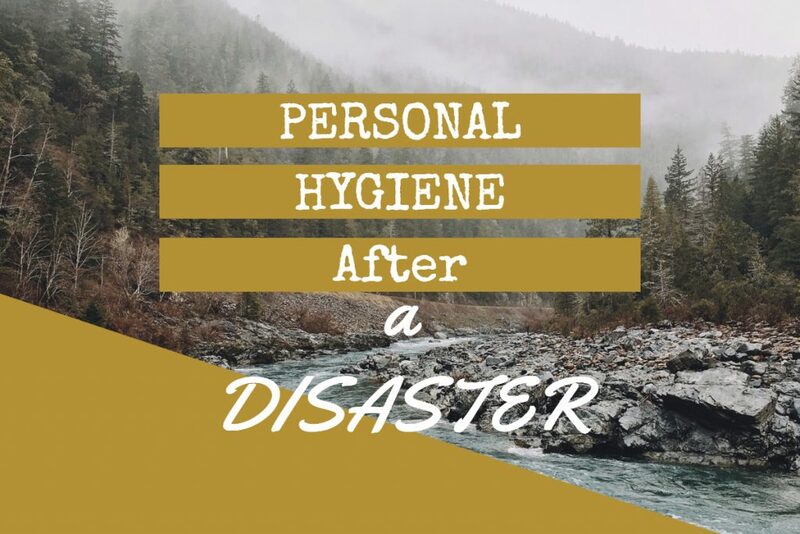 Instead, look at the solutions below to bolster your personal hygiene after a disaster . You may not think of seeds for hygiene but there are some heavy hitters in the plant world that will offer you renewable hygiene resources at your bug out location. We are going to focus on two plants in this article. Licorice root has undeniable oral health benefits as well as medicinal uses for things like indigestion. These benefits are not campfire banter. They are touted in a study done by the ACS Journal of Natural Products. Another powerful plant that very few people grow is the loofa. You may recognize the word as the frilly thing that is hanging in your shower right now. A real loofa is a squash that dries to be a course scrubber that does wonders for your skin. Rags will get worn out but if you save the seeds, loofa will always be an option. Your bug out bag must contain some way to wash and care for your body. I like lotions for dealing with chafed skin and other ailments that are related to dry skin. Still, a method for cleaning the body is so important. For the longest time, I was concerned about cleanliness in an urban setting where the waters were contaminated and clean water would be at a premium. For most people prepping this will be their situation. Outside of lotion, I recommend the complete waterless personal hygiene system called Combat One. This product was designed for special operations soldiers in the field. It was designed for the desert and the hydration issues therein. If anyone understands the preciousness of water it’s our boys fighting in the deserts of the Middle East. Combat One comes in a bottled field spray or a tactical wipe system that is designed to clean your whole body. It’s on my bug out bag list because it’s a high-quality wipe and it’s packed with the antibacterial power of colloidal silver. Save water and stay clean. Today, we sit and we sit and we sit. For about an hour a day, we run or workout. Mostly, we just sit. Our feet are not ready for the type of punishment that a bug out will present. Once the skin on your feet begins to rub away you will be left with open sores and if walking or hiking is part of your plan, without proper foot care you are going to be in agony. Foot care is all about coverage. The friction of foot against sock or foot against boot is what slowly rubs away the skin. This is hard to avoid. There are numerous products that can be rubbed on feet to help them on a long hike. Another important thing to remember is the footwear. Synthetic materials are always going to be an issue. Instead, wear cotton socks. What I would have in my bag is a homemade salve with some oregano and mint. These salves are the perfect remedy for things like cracking heals and will help your ailing feet after a long day of hiking with a heavy bug out bag. By now we have covered your body, we have covered your mouth and even your feet. We still have yet to cover hair. Hair is a big deal because it’s the perfect home for parasites. Humans can get fleas just as easy as deer, dogs, or cats. Unless your game plan is to shave it all off, which isn’t a bad idea in the summer, you will need some methods to keep hair clean. Shampoo didn’t jump on the scene until the 1930’s! Do you think people had filthy, flea-infested hair until then? There are other ways of getting your hair washed. Baking Soda is one of the most common household items that you can use to keep hair washed and clean. Though it does a great job it will eventually run out and that makes it bad for long-term survival. Have you ever heard of Reetha or Soapnut? This plant was popular with Native Americans who have thick, beautiful hair; if you need convincing. This is the best method because you can grow the nuts year over year and produce a cleanser from saponins in the nut. There is no getting away from hygiene. You can literally run from disaster, run from people or circumstances. Your own personal hygiene sits with you. It festers and in the end, it can make you very ill. You can contract a disease from fleas or you could get an infection from poor oral hygiene. Don’t skimp on the items that will improve your personal hygiene after a disaster. Pack smart and learn how to spot wild plants that can aid in your struggle to stay clean and safe. Be sure to check out our other Preparedness articles! James Walton is the host of the I AM Liberty Show www.iamlibertyshow.com, a full-time freelance writer for hire, and the author of Come Unity; Community the blueprint for bringing America together one neighborhood at a time. Your article was great. Thats an issue many dont think about or plan for. And I’m not sure why, but I have. I have a pack of body bath wipes in my BOB. I have tried them while camping and hunting. And they work great. They are similar to baby wipes but much bigger. About the size of a hand towel. You may have to swap out the pack occasionally like I have done because my bag spends alot of time in the trunk. I don’t want them to dry out. The only other thing I wondered about in your article was the socks. I have always worn some type of wool blend socks while hiking, hunting or backpacking with a heavy load and never had an issue. And they dry out well while at my camp. Which cotton doesn’t do. But I also am adamant about wearing good boots that fit properly. Which is extremely important. And they are broke in. I often tell my wife to make sure she has shoes she can walk long distance or hike in. You’re feet can make you miserable!!!! Thanks again for the article. You’re totally correct about good boots that fit well. They’re a must if you’re going to be walking any distance at all! Thanks for taking the time to share on the subject!